When I purchased the car it had sat in my driveway for a month before I was old enough to drive it which was soon regretted. Once I turned 17 I started to drive the car and soon the Engine Warning Lamp lit up. So got on the phone to the dealership I had purchased the car from they took it in and said it was an air leak in one of the air hoses. Long story short the car had the same piece of hose replaced twice and another hose replaced after that didn't fix it. Since this, I have replaced the rear NOx Sensor which was an NTK 03C 907 807 C (NZA05-V3) but was replaced with the newer 03C 907 807 D (NZA05-V4) and took it for a drive and yet again the Engine Warning Lamp came back on but this time it's giving out an error code for the Exhaust Gas Temperature Sensor being P0546* and this time it takes 2-3 times longer for the light to come back on than it did when it was the NOx Sensor. 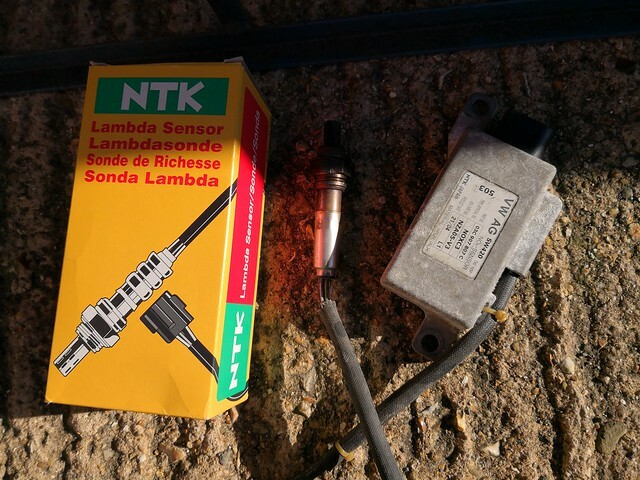 So, before I replace this sensor as well is there anything else it can be? Or what would you guys recommend doing? Autodata says that the ECM is a possible cause for the EGT Sensor but not the NOx Sensor but then again it all goes back to the ECM I should imagine. I do apologise for waffling on but I just want to explain what has been done to try and resolve the issue. If there is any other info needed please feel free to ask as I am running out of money and patience after that new Heated NOx Sensor cost me £416 + £101 for the Klarius Exhaust Catalytic Converter Downpipe and another £63 for the front Bosch NOx Sensor (If any of these prices don't seem right I order them through work so I pay a small % plus VAT on top of what the company pays. Last edited by TeknixTM; 07-11-18 at 13:39. Reason: Images didn't get inserted properly. Did you fit the Nox sensor yourself? There is a possibility that you/garage has damaged the wiring/EGT sensor. EDIT: By the way the Nox sensor issue on this car is very common unfortunately. Last edited by lemta; 06-11-18 at 23:29. I replaced the NOx Sensor myself we rotated the cable one turn every time we threaded the sensor into the exhaust by one turn to prevent damage being done to the cable and I haven't touched the EGT Sensor yet. But where I am getting slightly confused is that the error for the Sensor has gone away and seems to be solved but has now turned to the gas temperature sensor that hasn't been touched since the mid pipe was changed by the previous owner. However, thank you for that suggestion as it might explain why both sensors are failing as they were removed to fit a new mid pipe on the car and maybe they might have been damaged then? None of your pictures show, did you try them before you made this thread? Yeah, I was having some issues with the attachment system it kept saying "Upload of File Failed" and gave no reason. So I resorted to a 3rd Party Image upload site and when I tried to embed the images using [ img ] but obviously I was doing it wrong and that didn't work so I ended up just posting them as links. I've now tried using Flickr's premade BBCode Embedding Link which has now worked, apologies. I purchased the sensor on Amazon quite cheaply, I paid about £35 for a Genuine Febi Bilstein part sold by Amazon E.U. Sarl. I fitted the part and the engine warning lamp hasn't been on since and it's been a whole month. 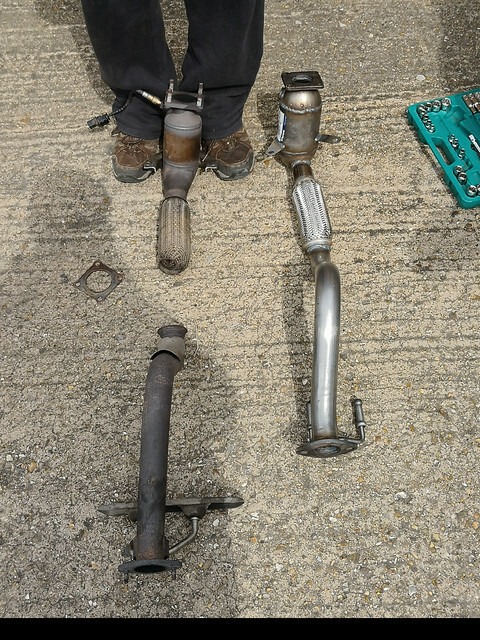 So it looks like the previous owner damaged the sensors when replacing the centre section of the exhaust pipe. Thanks for the help, Alex.